We were once again fortune enough to acquire this beautiful bay full Funquest mare to add into our herd. Her sire is Funquest Diviner. 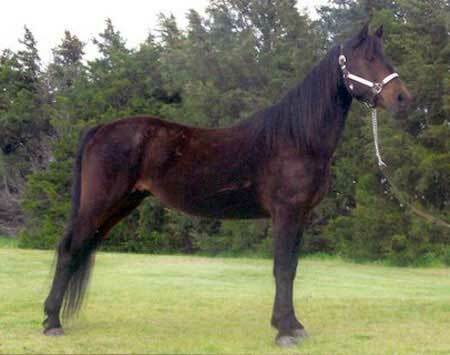 Her pedigree is blessed with many of the old time greats such as: Funquest Monarch, Funquest Prophet, Funquest Figurette, Funquest Rapsody, Funquest Talstar (2x), Funquest Falcon (3x), The Brown Falcon (4x), and Flyhawk (7x). As you can see Chelsea and her offspring will have no limits to their potential.